Buckley v. Brethern Mutual Insurance Company, 437 Md. 332, 86 A.3d 665 (2013): Release executed by victim did not prejudice her uninsured motorist claim against her own insurance company. Miller & Zois handled this case. You can read more about it here. Mundey v. Erie Insurance, 396 Md. 656, 914 A.2d 1167 (2007) Plaintiff left his parents home in Lusby and moved to Waldorf. Almost a year later, he was injured in a car crash. He tried to get coverage under his parents' policy with Erie. The court rejected his claim that his parents' uninsured motorist coverage would apply because he intended to return home at some point in the future. Bushey v. Northern Assurance., 362 Md. 626, 766 A.2d 598 (2001): In a Charles County wrongful death case involving the tragic deaths of two high school sisters, the Court found the vehicle's $1,000,000 UM policy should cover family members of a named insured as an unincorporated entity. Schuler v. Erie Insurance Exchange, 81 Md. App. 499, 568 A.2d 873 (1990). In this Montgomery County pedestrian collision case, the court shot down a victim's effort to get UM coverage from his wife's commercial policy as opposed to his own coverage with MAIF. But, the court finds in dicta that a permissive user pedestrian should be covered even if they are not in the vehicle at the time of the collision. You can read more about this case here. 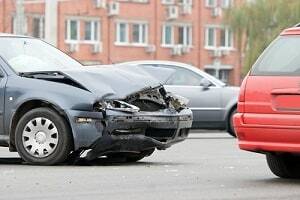 Do You Need a Lawyer for Your Uninsured or Underinsured Motorist Claim? If you want to discuss your potential Maryland uninsured motorist claim with an experienced accident lawyer, call 800-553-8082 or get a free uninsured motorist internet consultation. Who Is Covered by UM? How Much Is My UM Case Worth?